The Queen names Royal Navy's biggest warship in ceremony at Rosyth. 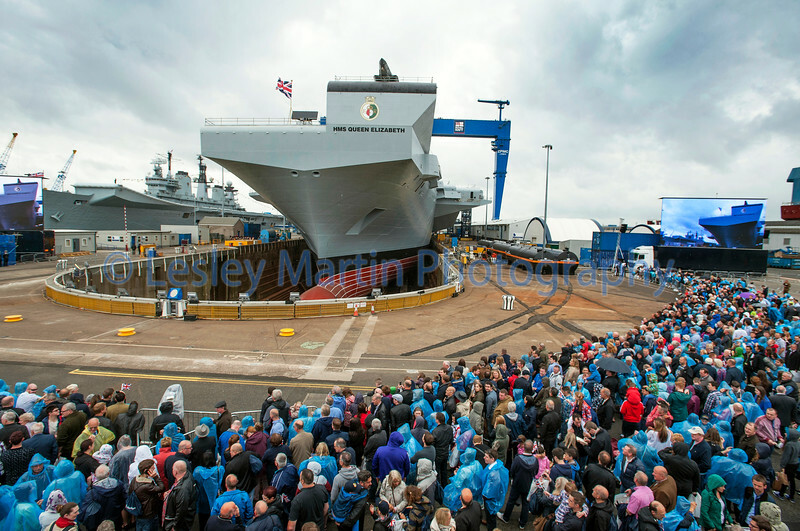 The 65,000 tone Royal Navy aircraft carrier HMS Queen Elizabeth was formally christened during an event at the Rosyth Dockyard in Fife, where the ship was assembled and fitted out. Prime Minister David Cameron and First Minister Alex Salmond were in attendance.